We've spotted a video on Youtube which is a test for Xperia Z3+. This is amazing. Have your ever wondered what would happen to your Sony Xperia Z3+ when frozen in Fanta for over 5 hours? Will it survive the harsh conditions? Xperia Z3+ which is the newest handset of Xperia Z series has very impressive waterproof and dust resistant an impressive IP65/68 ingress protection rating. 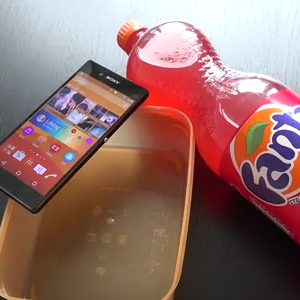 This phone was tested in a Fanta freeze test to find out whether it would survive for more than 5 hours of freezing.